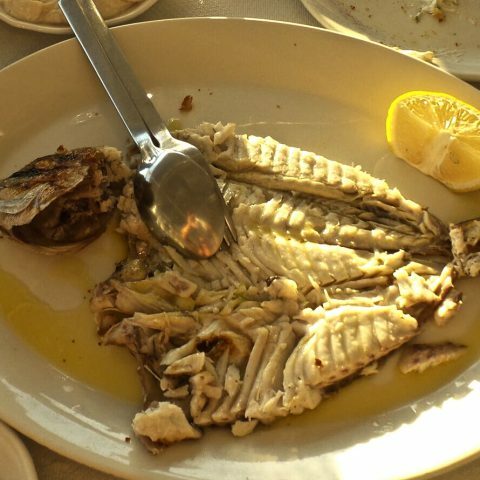 Greek food is amazing and Santorini has some of its own specialties that have quickly become my favorites. 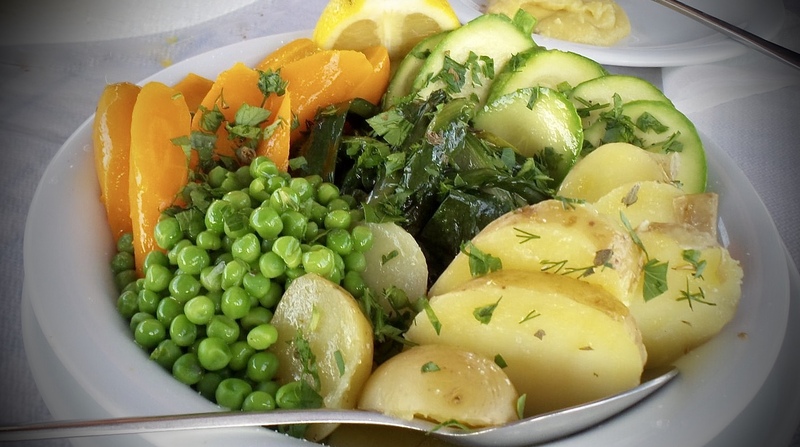 One wouldn’t normally expect vegetables that grow in dry, hot, porous volcanic soil to be so great, but its these exact conditions that pack Santorini produce with a punch. 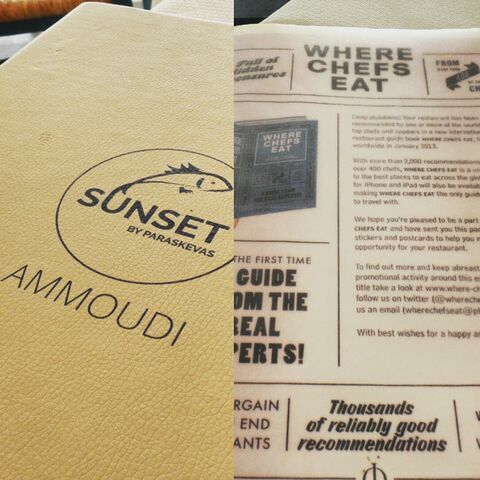 A cuisine full of bright, punchy flavors, simple presentation, few ingredients and loads of seafood. Here are a few highlights. Tamara spread is made from cod roe. 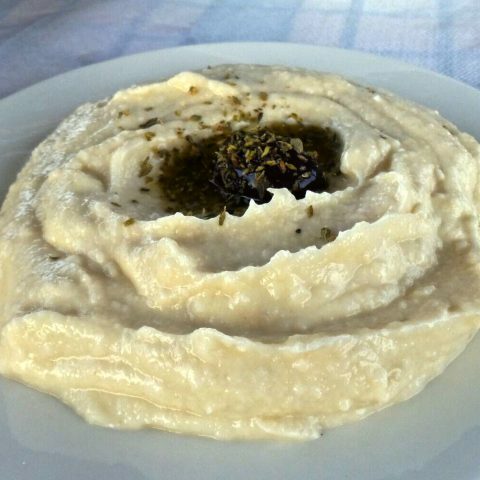 It is bread that has been soaked, squeezed, dried, then pureed with olive oil and lemon. 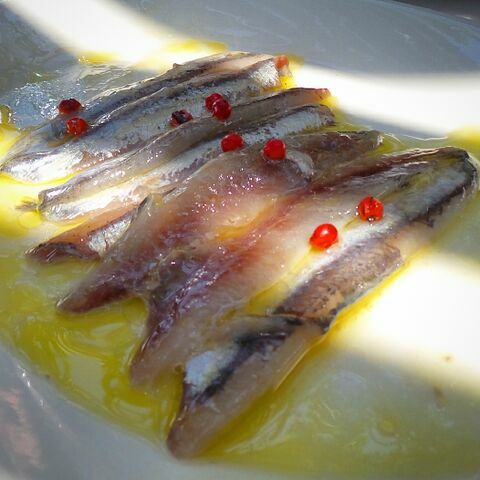 It’s creamy yet airy, light but rich, delicious, bold flavor. Santorini is known for its tomatoes. They are different than your average tomato due to the volcanic soil they grow in without any irrigation. 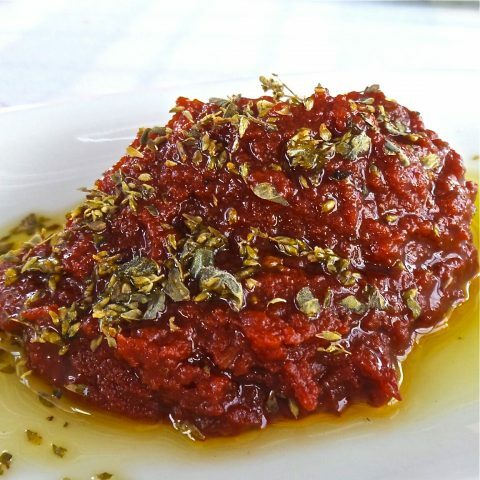 It creates a small, bright red tomato with concentrated acidity and flavor. Santorini is famous for it’s tomato past and for good reason. 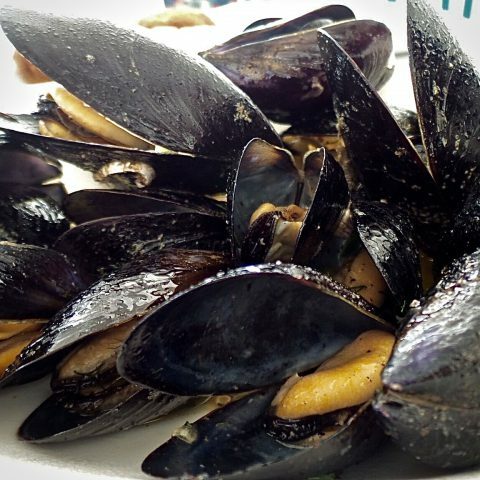 All the abundant seafood one’s heart can desire. 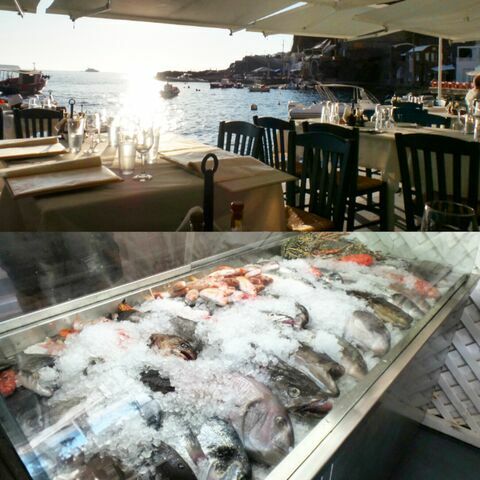 There is no shortage tavernas serving fresh fish and other crustaceans. 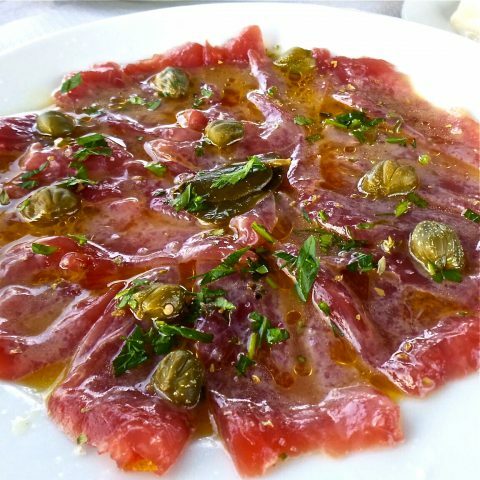 There is plenty of ceviche and tuna carpaccio to be had but the traditoinal Santorini dish of anchovies marinated in wine and lemon is my favorite. Zucchini balls. 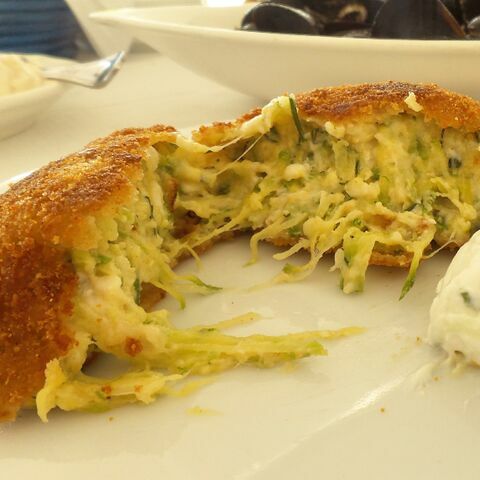 Lightly breaded and fried, filled with shredded zucchini, fennel, and feta and served with yogurt on the side. A tricky balance of crispy shell and textured, seasoned filling is the key to this dish. It’s hard to find prepared well, but worth scavenging for. 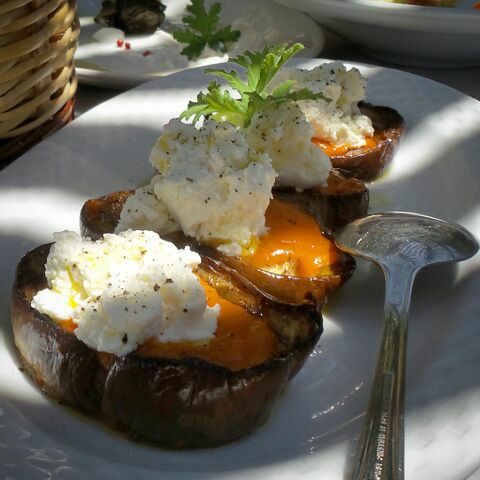 The white eggplant is unique to the island. It’s soft, mild and almost fruity quality make it ideal to be served simply, not to be overpowered, baked and topped with light, nearly whipped feta and fresh cracked pepper.